Daisuke Matsuzaki was born in Tokyo in 1979. He loved drawing manga characters, and monsters in his childhood, but stopped drawing it when he was in junior high school. After graduating from university, he experienced various jobs in Japan and was able to live overseas in the Philippines. In his mid 30’s, he became stuck with his way of life and decided to reset his way of living. As a result of considering what he really loves, he was reminded of his enthusiasm for drawing when he was a child. He discovered that he had an ability to draw better than what he expected at that time, and started activities as a painter in 2017. 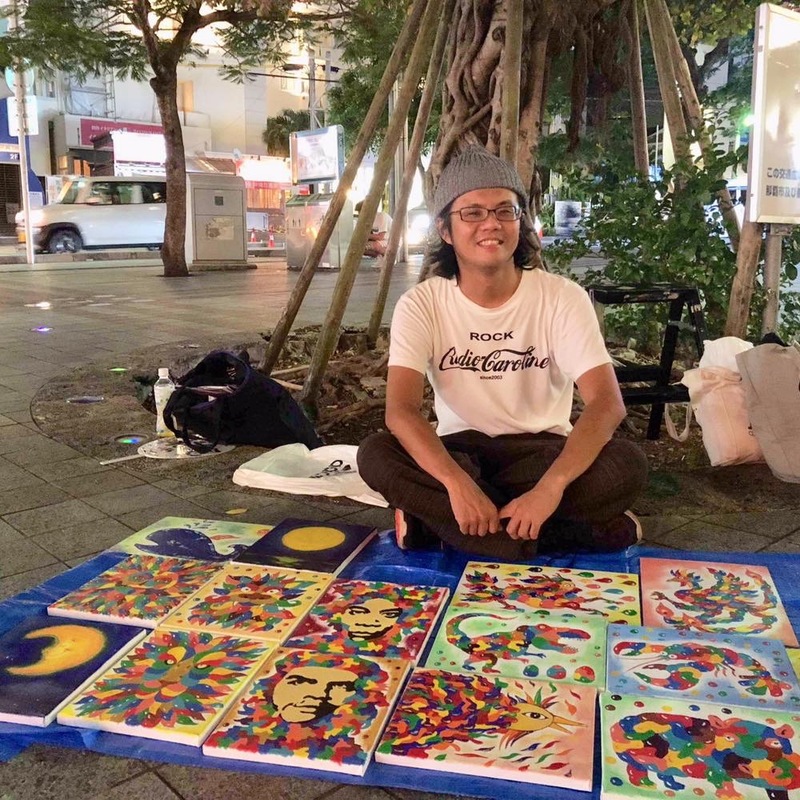 By painting colorful artworks with acrylic paint, and oiled colored pencils, he was able to gradually get a rating from his friends and familiar artists. After having exhibited in several group exhibitions in Tokyo, he held a small solo exhibition for the first time at cafe Kuramae 4273 in May 2018. He also got a favorable reception when he was doing a live painting performance with improvisation at an event. Through these experiences, he has been pursuing an art which comes from his soul. This is an essential part and he is working with the goal of making an art that reminds the viewer of their original self.